At Superior Transmissions, we are dedicated to the diagnosis and repair of your transmission. If you come to us and you aren’t sure if there is something wrong, we can tell you exactly what is happening inside your car. 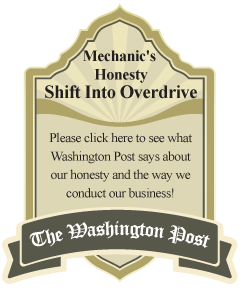 We are in the business of helping vehicle owners get the most out of their transmissions, and pride ourselves on being an honest company that won’t try to trick you into services you don’t need. Learn more about our transmission repair and transmission replacement services, and give our experts a call at (301) 587-0511 today! Transmission repair: We repair any minor problems in the transmission for preventative care. If you’ve noticed a warning light on your dash, have trouble shifting, or odd sounds/smells in your vehicle, it may be time for transmission servicing. Our Team also has the ability to repair major problems. We can even do rear and pinion repairs. Transmission replacement: In rare cases, the transmission is beyond repair. If you’ve noticed a brownish liquid leaking from your vehicle, frequent overheating, or if you’ve already had your transmission repaired and you’re experiencing problems again, transmission replacement is likely the right solution for your vehicle. We offer replacement services at very affordable rates. Our rebuild will last you much longer than another company’s repair. We’ll also get you back on the road in record time. Manual transmissions: Having trouble shifting? Getting delayed engagement? Your manual transmission may be to blame. Our manual transmission experts can figure out what’s going on with a manual transmission quickly. It may be a much smaller problem than it seems, and it could be as simple as adjusting the clutch. That’s what we’re here to find out. We proudly provide manual transmission services for foreign transmissions, domestic transmissions, all-wheel transmissions, and front-wheel transmissions. Automatic transmissions: Many drivers today own vehicles with automatic transmissions. Without proper care and maintenance, automatic transmissions can experience problems over time. The way we service your automatic transmission depends on the individual problem. Fortunately, we can quickly diagnose it and find out. It may include replacing gaskets or friction clutches, as are common problems. We proudly provide a host of comprehensive services for automatic transmissions, including gasket and rubber seal replacements, diagnostic checks of electrical mechanisms, and existing transmission upgrades. Your transmission should be services or flushed ever 20,000 miles. Transmissions we service: We offer transmission services in Silver Spring, MD on all makes and models. This includes foreign and domestic vehicles. If your transmission is broken, rest assured that we can service it. The truth of the matter is that most car repair shops don’t just focus on one type of repair. If they are a general mechanic or repair shop, they offer many different services, which prevents them from being experts in one specific area. At Superior Transmissions, we only offer transmission-related repairs, so you can be confident in our ability to properly diagnose and repair your transmission. Give us a call today at (301) 587-0511 to find out more about our transmission services. For superior transmission services in Silver Spring, MD call (301) 587-0511 today!